ZheJiang HuangYan GuoGuang Plastic Machine Factory was established in 1985, is specialized in making mould, injection thin wall goods,abundant art force. And produce experience, advance equipment, scientific manage, Welcome visit us on the spot. S & T create quality , faith founding refulgence. The traffic is convenient , have abundant base with produce condition, make art, after service. Production sale far for countrywide place and export for multi-country. Get the well appraisement from the client . We offer the manage mode of topping mould and art , set calling mirror, build up benign brand and permanent credit standing for us . We also pursue the actual art , credible produce , clients advantage and altitudinal credit standing for our tent . 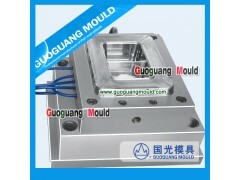 The factory is located in Plastic Mould Kingdom---Huangyan, The traffic is convenient and the locality is ascendant .Corporation tenet: We will walk a steady road in manufacturing mould, we believe that the top-ranking quality and the perfect after service is viability. We also conviction the conviction dream up the tomorrow of the mould. We sincerely welcome all Friedens have cooperation with us.